The crux of sleep training is to teach your babies how to go to sleep unaided in order to soothe themselves to sleep at nighttime and at naptime. I learned two things from sleep training my twin boys: 1) I am a hypocrite and; 2) the most challenging child-rearing tasks contain the most intimate opportunities for bonding with my twins. 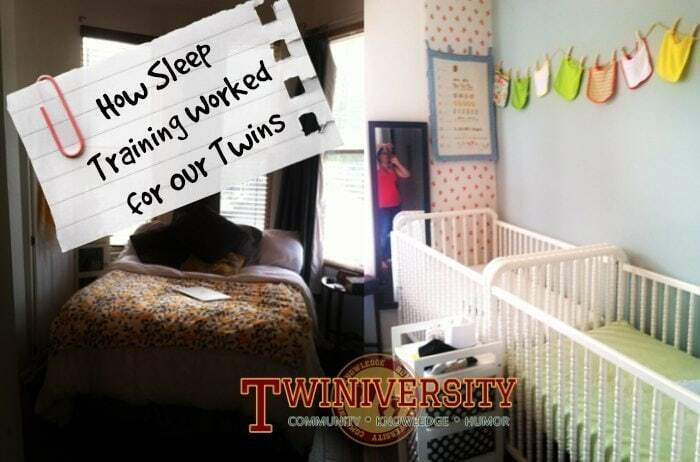 My hypocrisy within this process stemmed from feeling conflicted about how to handle sleep training in a way that was best for my children combined with sheer exhaustion, as well as my own insecurities about my day-time ability to give my twins individual attention. This made for a complex sleep-training process. My twins are now 20 months old and they sleep through the night, from 8pm to 7am, and have successfully transitioned from two naps to one (1pm to 3:30 or 4pm) and all is well in household. This was not always the case. 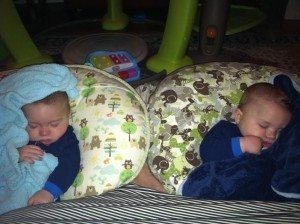 My husband and I worked extraordinarily hard at getting my twins to nap on a schedule and sleep through the night. There was no one magic bullet method that helped us. It was over the course of several weeks of focused work that our babies began sleeping through the night. Prior to our sleep training journey we very often took the “path of least resistance” to get our guys to fall asleep and go back to sleep. For example, we would feed them to sleep each night, putting them in their cribs in a milk coma. At six months old, we would jump at their first cry and feed them at night and bring them in our beds to get them to go back to sleep. I had a gut desire for us to co-sleep, because I longed for more one-on-one time with them, but I also felt like they needed to learn to fall asleep on their own. I found it hard to know which side to choose. As a twin mom I felt guilt that my attention had to be split between the two of them, so I figured, ‘how could it hurt to have them with us at night?’ However, I would say out loud to others and myself, “I want them to know how to do this on their own”. By the time they were six months old we could not all fit in the bed and we were totally sleep deprived. I was staunchly against Cry it Out/ “rapid extinction”, but we were beyond exhausted so we tried it. We tried this for 3 or 4 nights with not much progress. They never got to the sleeping part. They just kept crying! Following this attempt we hired a sleep consultant. She walked us through a plan that took into consideration their bodies’ find-tuned physiological needs. Her methods came from Kim West’s sleep training techniques. The training functioned to undo the habits we had taught our babies to rely upon to go to sleep. One of the first things she told us was we should no longer bring them in our bed and that we should move our bed to the living room (we live in a 1-bedroom apartment and I was not happy about making our living room our bedroom.) Sleep training ultimately became the processes of learning our babies and what they needed from us to become independent sleepers. While actually engaging in the methods of sleep training, I experienced a deep sense of what each of them needed as individuals in a very focused and intense way. We each chose a baby to train. This would change each night. We did this so there was no question about whose turn it was to deal with which baby. Put babies to bed alert; not asleep or too sleepy. Babies need to understand they are in bed and it’s time to sleep. When you put a baby in their crib already asleep and they have a partial or full arousal in the middle of the night it can be scary for them, because last thing they knew they were in your arms, not in their crib. At around midnight we would feed them while asleep. We slowly reduced the amount we fed them over a series of nights and also moved the feed earlier and earlier until it was so close to their last feed before bedtime time it became inconsequential to their bodies’ blood sugar level. The dream feed served two purposes: one for the babies and one for the parents. At 6 months of age their bodies adjusted to consuming many ounces of milk each night (each baby woke up 2 or 3 times, eating 4-6 oz each feeding) so although they didn’t actually need to eat for normal healthy growth, their bodies were accustomed to it. Their bodies needed to be weaned off the milk. The other purpose the dream feed served was to help my husband and me know that when they woke up and we were working on “coaching them” back to sleep, we would not give in and feed them because we knew they were not hungry. Each time they woke up during the night we would use one of two methods to teach them to go back to sleep. The “Shuffle” method or “timed checks”. We started with the shuffle and changed to time checks based on their dispositions. For the shuffle, after we put them to sleep we would sit in a chair near their crib and each time they woke we sat next to their crib and shushed them. Each night we moved the chair further and further away from the crib until we were out of the room and shushing from the doorway. Through trial and error we switched to time-checks because it seemed the shuffle agitated them beyond belief. For timed checks, we would go to them immediately when they cried, comfort them by rubbing their back and shushing them for a few seconds and then leave. We would go back 1 minute later, 3 minutes later, then 5 minutes later, then 10 minutes, and we would keep going back every 10 minutes until they stopped crying. This was the brunt of the work. If they woke up between 4 or 5 am we would feed them and then gradually reduce the amount by about a half an ounce every two days. If they were awake at 6 am and had been awake from a previous coaching or feeding session and it was clear they were not going to back to sleep, we would leave the room, count to 10, then go back into the room and turn on all the lights and loudly exclaim “GOOD MORNING!! !” This helped them understand it was morning and that was why were picking them up. 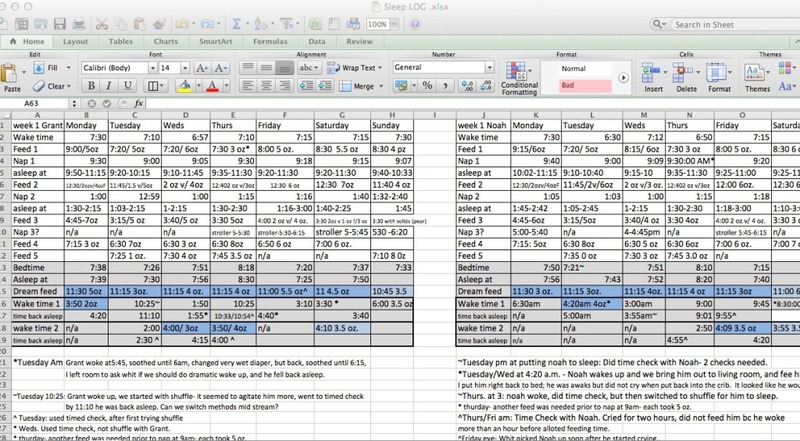 We logged each aspect of the training: how much they ate, when they napped, when they slept, when they woke, how long they stayed awake, and what they responded to. We submitted our logs to the sleep consultant who gave us her expertise and support, which was absolutely crucial to seeing this through. It took 3 weeks to teach them how to sleep through the night. Once we got them to sleep through the night for a few months they started regressing! Again, we started bringing them into our beds. They would experience a normal nighttime partial arousal and cry and my husband would run and get them. I would wake up and the next thing I knew there was at least one baby in the bed and nearly no room. This quickly escalated into the boys forcing themselves to wake, begging to come into our beds. I was so angry that all of our hard worked seemed to go out the window, but yet, I loved having them in our bed. But it just wasn’t practical. We have a full sized bed, my husband is 6’4, there was just no room for all of us. What did we have to do? Retrain them. We retrained them a few times in the past year. To retrain them, we employ strict time-checks, going to them, not picking them up, and comforting them at 1 min., 3 mins., 5 mins, and 10 mins. It typically takes two nights to retrain them, but we have to be strict with ourselves because the whole thing can unravel as soon as we decide it’s easier to bring them into our bed. The longer we let it go, the more time it takes to retrain them. Determination: We start off excited and determined to make this work! Get the sleep log ready, we know which twin each of us is responsible for and what we will do when the crying begins. Denial: Is this really not working, yet? Come on, it has to work. They aren’t crying right now. I would sometimes pretend to sleep through my shift, leaving my husband to take over my shifts because I was in such denial. Loss of power: I have no control over this situation at all. Two babies crying with two different needs! Panic: What am I supposed to do now? Two babies crying, I haven’t slept, I am exhausted, and what if I can never do this? Pure focus: Here is where I would rally. Particularly when trying to teach them to nap. I experienced a profound shift to focusing completely on their needs and away from any concerns about my tiredness, or how long it was taking. During teaching them to nap especially, I would spend a lot of time with each baby trying to teach them to fall asleep at a specific time and they both needed such different things from me. This was a great experience as a twin mom. Victory: Small and large. Just hearing them stay asleep for an hour and half long nap, or successfully completing a dream feed so they sleep until the morning. Melissa Ruopp is a mom to 20-month-old twin boys. She mainly works for her children, but also consults for an arts access organization in NYC. She enjoys the unending love and partnership of her husband. 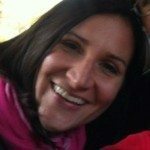 She is interested in practicing meditation, exploring the role of arts in learning, and trying to see things from her childrens’ point of view. She doesn’t have a blog, but you can email her if you need moral support in sleep training (or anything twins related for that matter).